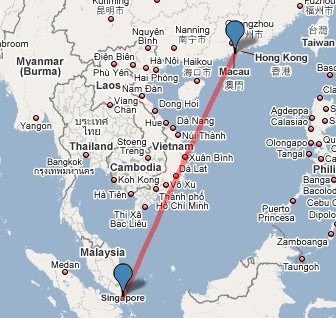 eD@HoMe: My first postcard from Macau! Here is my first postcard from Macau! It is sent by Katherina. Thank you! 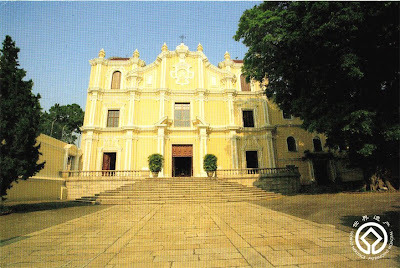 This postcard depicts the gorgeous St. Joseph's Seminary and Church in Macau. It was opened in 1758 as part of the Jesuit seminary of St. Joseph. Located on a hill, with twin brick roofed towers, it was a famous landmark that was often a subject for artists. It is laid out in cruciform shape, with a high domed ceiling. Its exceptionally fine acoustics make it an excellent venue for concerts during the annual International Music Festival. A door beside the altar leads to an exquisite walled garden containing an ancient well and plant nursery. 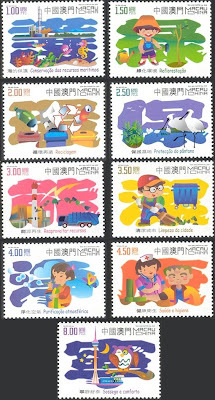 The stamp franked on this postcard belongs to a set of 9 beautiful stamps from the "Environmental Protection" series. It was issued on 5th June 2002. 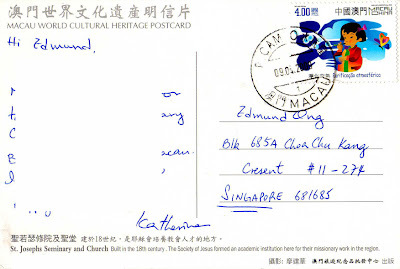 The postcard was postmarked on 9th April 2009 and reached me on 18th April 2009, having traveled an estimated distance of 2,545kms. Till next post. Have a great day!